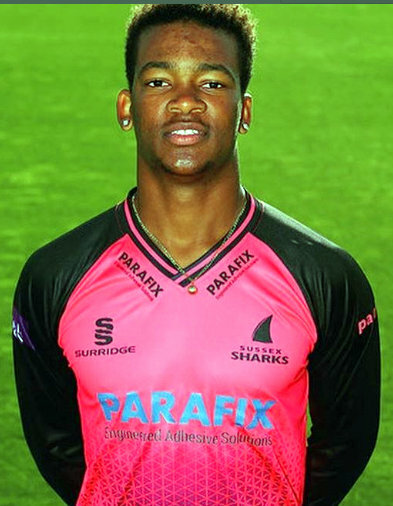 Delray Rawlins and his Eastbourne Cricket Club teammates defeated East Grinstead Cricket Club by 90 runs in their Sussex Cricket League - ECB Premier Division match. Eastbourne won the toss and elected to bat, they were bowled out for 274, James Hockley was the top scorer with 115, Rawlins scored 12 off 10 deliveries, Rawlins hit 1 six and 1 four. Bradley Hatchett was the pick of the East Grinstead bowlers with figures of 20-2-86-5, while Lewis Hatchett bowled 22-2-103-5. In reply East Grinstead were bowled out for 184, Bradley Hatchett was the top scorer with 41, Ethan Guest would lead the Eastbourne bowling attack returning figures of 8-1-22-5, Rawlins bowled 7.1-3-21-2.